Illustration art boards are specially designed for the artist who want to paint their original artwork. It also works great for a artist who only pencils his artwork using shades of grey. Illustration art boards are laid out with a minimum amount of line. No solid borders. The lines offer the artist a place for panels and shows the over all image area. 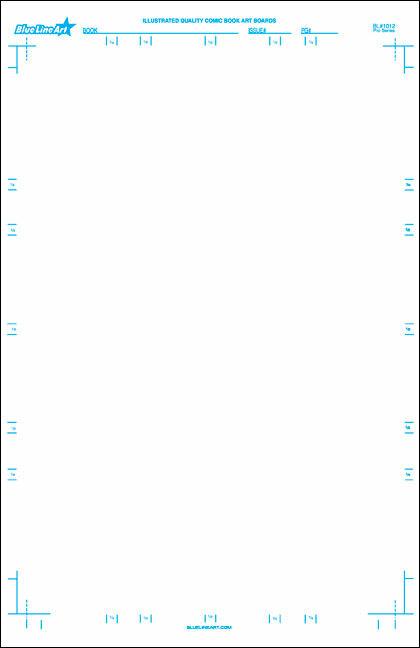 Lines are printed with Blue Line Art’s non-photo blue ink. Offering the artist a 10″ x 15″ image area. 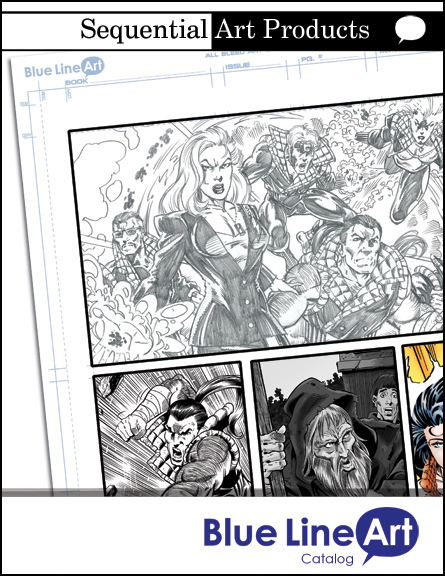 Illustration Premiere Comic Book Art Boards 400 Smooth 3 ply are print on professional quality Strathmore (see Premiere Comic Book Art Boards 400 Series Smooth 3 ply for more information about the quality of the boards). Illustration Pro Comic Book Art Boards are specially designed for the artist who want to paint their original artwork. It also works great for a artist who only pencils his artwork using shades of grey. Illustration art boards are laid out with a minimum amount of line. No solid borders. The lines offer the artist a place for panels and shows the over all image area. Lines are printed with Blue Line Art’s non-photo blue ink. Offering the artist a 10″ x 15″ image area. 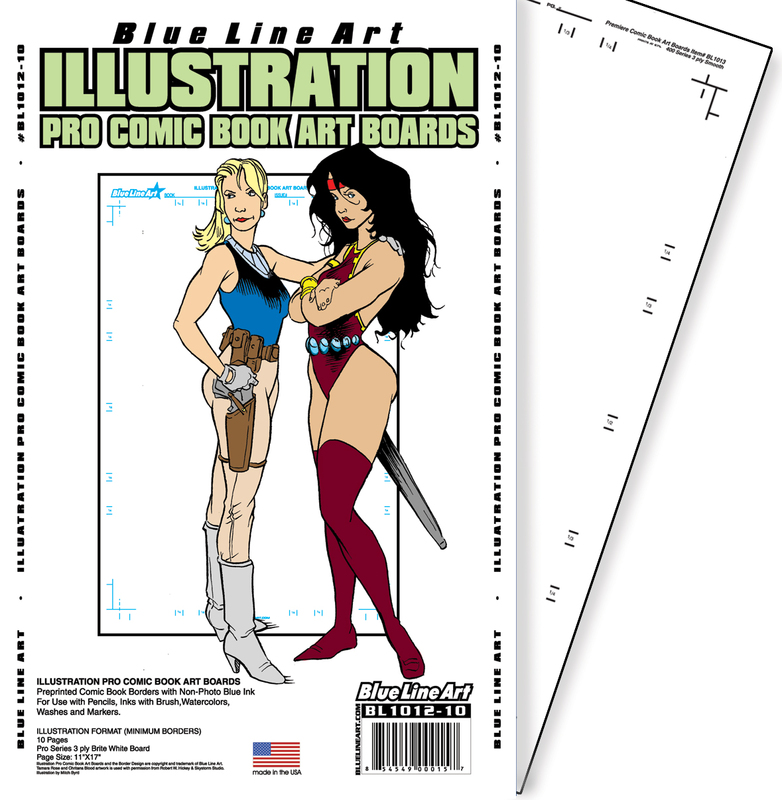 Illustration Pro Comic Book Art Boards are print on Blue Line Art’s Pro series of boards. The Pro series has offered thousands of artists the opportunity to begin their careers on pre-printed paper like professional publisher’s use. The Pro series is great for use with pencil and ink (brush recommended) as well as markers and acrylics.